Whether you’re a big business or a small business, you know that social media is a channel that needs to be taken seriously. You know that your customers are on social media every day. They are using it to stay in touch with friends, family, and learn about topics they care about. But, if you’re a business owner– you probably wear more hats than you’d like. Understanding & learning social media seems like a daunting task… but it doesn’t have to be that way. Maybe you’ve already begun your social media journey… or maybe you’re just packing your suitcase. Either way, many businesses get overwhelmed on the amount of networks, trends, and “You should be doing this. Or, you should be on this network” advice they’re getting from their peers. Don’t stress. Take a deep breath. There are a few questions you need to ask yourself about your company’s social media presence and the platforms you should be using. Most people begin with choosing “where” they should be on social media first. However, before you can determine your “where”, you must determine your “who”. “Who” are you trying to target? Once you answer “Who?”, ask yourself, “Who are they? REALLY”. The next question is the question of time. How much time do you actually have to do your brand some justice on the chosen social media sites? Who will be handling it? Will it be you, an employee, or an outsourced company? Whoever it is, make sure they have the time and are ready to commit to the challenge. If you choose to use an employee or an outside marketing management company, be sure you have put policies and procedures in place to ensure you’re protected against them leaving you stranded without access to your networks. The third question you need to ask yourself is, “What”? What are you trying to accomplish on social media? Are you looking to just push information out? Are you looking to pull new clients into your organization? Maybe it’s both. Now you can finally determine your “WHERE”. 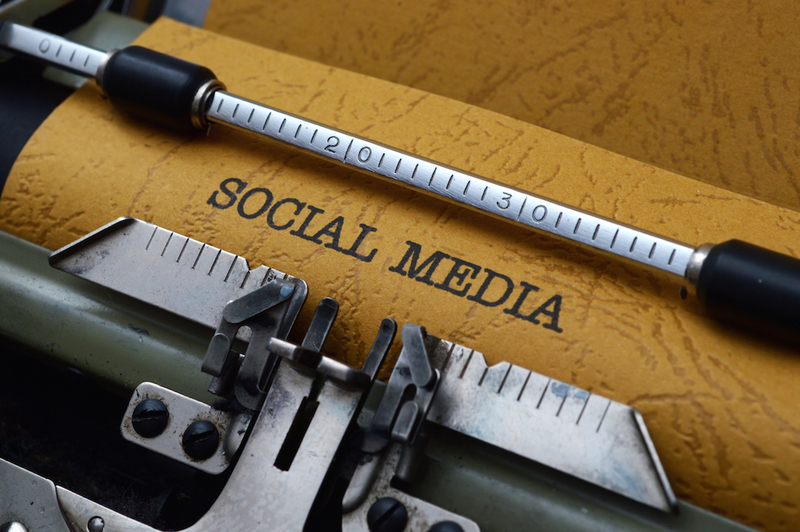 What networks should your company have a social media presence? It all depends on the answers to the answers of “Who, How Much Time, and What are you trying to accomplish”. If you are looking to attract men in the 60s to your organization, Pinterest may not be the best social network for you to spend your time. No matter which networks you choose, make a commitment to maintain them and maintain them well. Trust us, a non-existent social media site is better than a poorly managed site that hasn’t seen an update in 3 years.